The Rohan Ishita spread over 5 acres with 8 well spaced out towers. 80% of the total land space is dedicated to greenery. 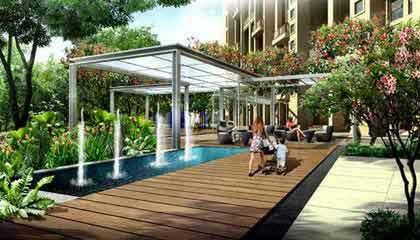 It brings well lighted, well ventilated living spaces with the assurance of complete privacy. Like all other Rohan developments, Ishita offers apartments that are designed to let in enough natural light and air. Privacy is guaranteed to residents by clever planning. No two apartments have windows facing each other and the entrance foyer in every apartment prevents strangers from peeping into the dining/living room. The living room and dining area are placed at right angle (L shaped) and living room is in a proportion of 1:1.5 so that they don't feel confined and narrow.